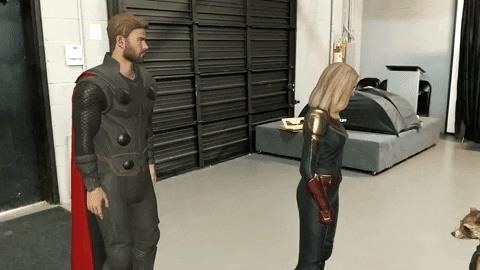 Included in an update to the Marvel Studios Avengers Playmoji app on Google Play on Monday, Google Pixel owners now gain access to the full Avengers team, with War Machine, Thor, Black Widow, Rocket, and Captain Marvel joining Iron Man, Captain America, Hulk, Nebula, and Okoye from the app's initial release. "Now you can make even more epic scenes come to life by adding the interactive characters to your photos and videos," said Elisabeth Morant, Google's product manager for Playground, in a blog post. "Thanks to ARCore's motion tracking, light estimation and ability to understand the real world, the Playmoji look and feel lifelike, and react to your facial expressions in real time." Last summer, Marvel unleashed an army of augmented reality experiences that rivaled the Avengers themselves in sheer quantity for the release of the film Avengers: Infinity War. 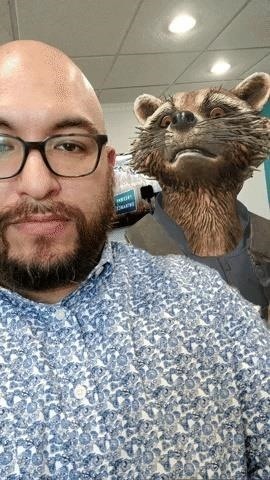 In addition to camera effects for Facebook and Snapchat, Marvel landed the cover story of the Regal's Moviebill AR magazine and pushed out a toy AR mask. 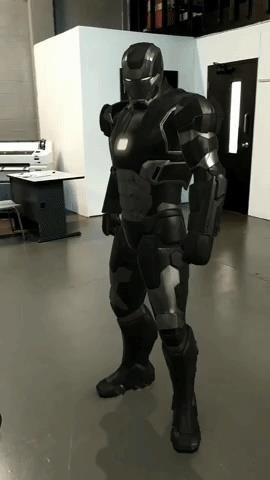 For the follow-up, Marvel has already introduced two AR tie-ins between Playground and the previously-announced Iron Man MK50 Robot, so we can expect the onslaught of AR promotions to continue now through April 26 (the release date for Avengers: Endgame).